Kidlington FC are looking for talented, committed and ambitious local footballers who wish to join a semi-professional academy in the Evo-Stik South where they will #Study, #Train and #Play full time after leaving school in 2019. 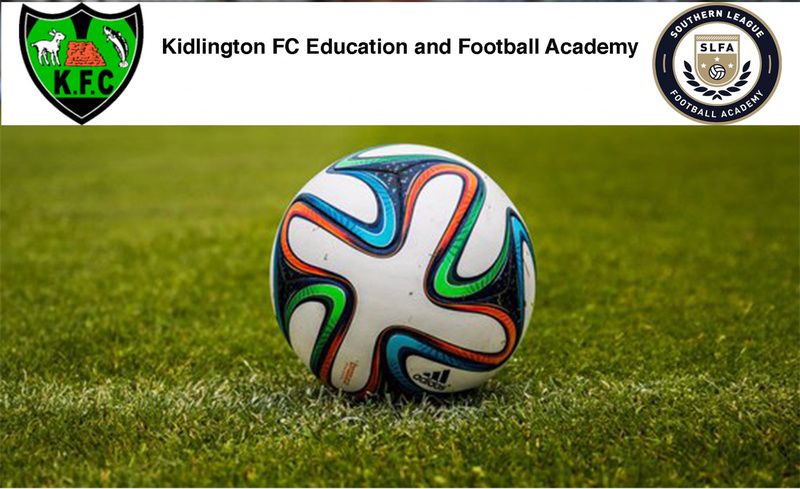 Starting in September 2019, the Kidlington FC 'Education and Football Academy' is an alternative to college and is ideal for any 16/18 year old who wants to gain a great education and develop as a footballer at the same time. At the Kidlington FC Academy you will study, train and play full time.